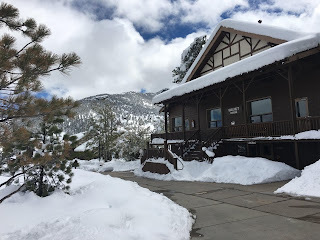 A year ago my husband and I traveled to Estes Park, Colorado to the gorgeous YMCA camp there to attend the Colorado Christian Writers Conference. It had been recommended by a close friend, who was helping to edit my book, that it would be helpful for me to attend a writer's conference. I did some research and decided that was a great location and time frame for me to make the trip. I had NO idea what this would bring about in my life. I mean I "wondered" what it would help me with and if I would come away with some sort of guidance or knowledge. Little did I know what the following 12 months would hold for me. I went to every workshop and heard every keynote speaker. From 8am-9pm for four days. I wanted to absorb everything I could. It snowed 48" in a 24 hour time period so that was interesting. My husband had come as well and had planned to mountain bike. He ended up still having a great time. I talked to all sorts of people and made connections and traded business cards with dozens of fellow writers. And I learned about agents, editors, blogs, how to write non-fiction, and on and on. I was told not to do a memoir, my story probably wouldn't attract a publisher, wouldn't sell, and that my book proposal was terrible. But I also came away with SO much knowledge. It was great. I will go again. I have also encouraged other writers to go to a conference. I also got many leads...I made a list of who I "thought" I could go to first in the long search for a publisher (Of course, I did. I am a list maker.). I had been told it may take three years and to not be discouraged if I got at least 20 rejections. Does this sound discouraging? Yup, it did to me too. But I KNEW I was supposed to write Not Really A Princess. I knew God could use it to help someone. So I sent my book to the two people I met who said to just send my manuscript without a book proposal. It couldn't hurt, could it? I had my next group to send to all lined up. But I got an email back the next day. Never heard from the other person but I am so excited that I ended up with the publisher I have. They are perfect for me and I already have my book published with the second one in progress. I never thought that would ever happen, let alone so quickly! Thank you, dear readers, for encouraging me over the past year. I still have a lot to learn and far to go in marketing my book but I am learning as I go. So don't get discouraged! You are all wonderful! 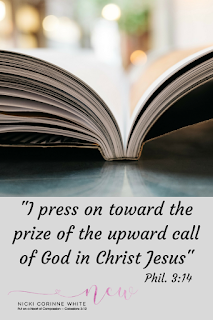 Don't forget Philippians 3:14, " I press on toward the prize of the upward call of God in Christ Jesus".